ORIGINAL AVOCADO from SO CAL.. This is a very thick sauce with lots of flavor. 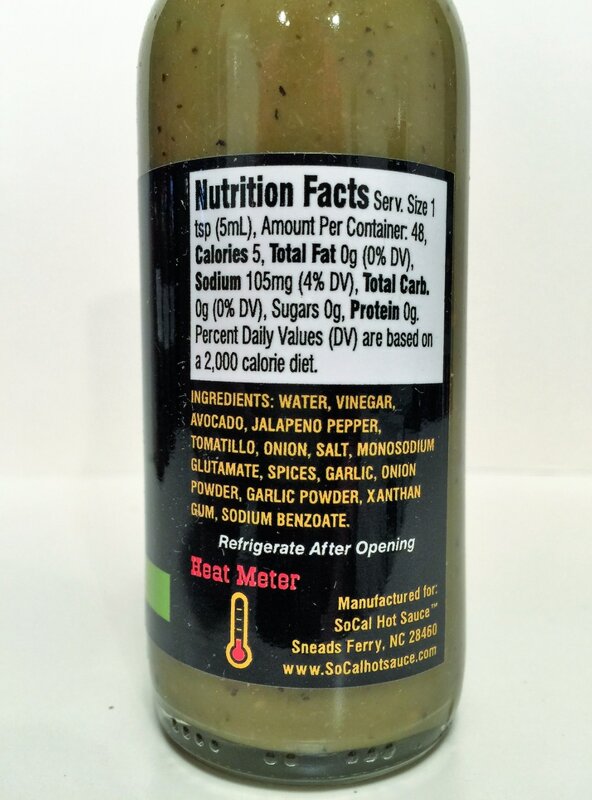 You get the avocado flavor along with garlic, tomatillo, jalapeno, salt and just a hint of vinegar. It's kind of like a verde sauce with the addition of garlic and the richness and flavor of avocado. I also get a bit of black pepper that really sets it off. We used this on fish tacos and it mixed very well. This would be great on all types of Mexican style food and more. Great job! 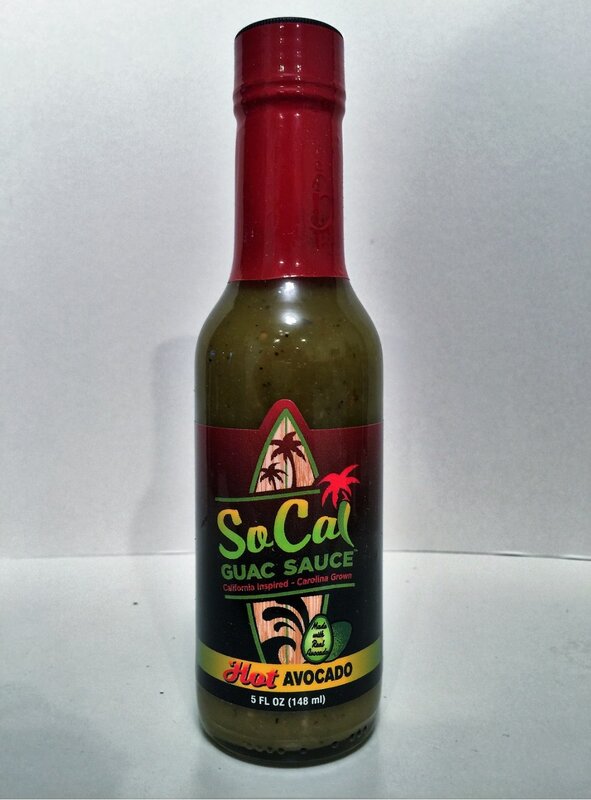 HOT AVOCADO from SO CAL.. 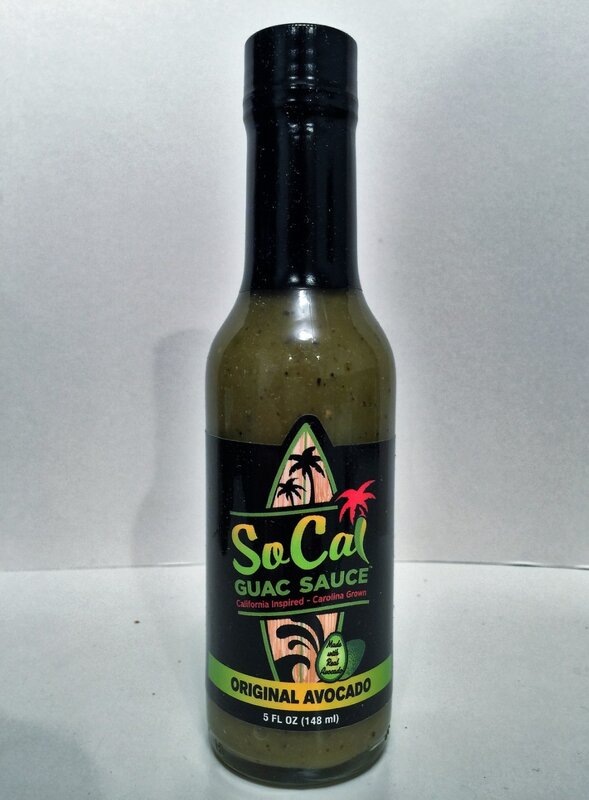 This sauce has the same great taste as their ORIGINAL AVOCADO but replacing the jalapeno with serrano and habanero peppers. To me, just that little change was what it needed to make this a perfect sauce. I can't get enough of this one. As much as I like the original, this one is a step ahead in both flavor and heat. This one is a must. Not only did I use this on fish tacos, but I also used it on a baked potato. You could also use this on steak, eggs or just about anything. Love it! ORIGINAL RED from SO CAL.. 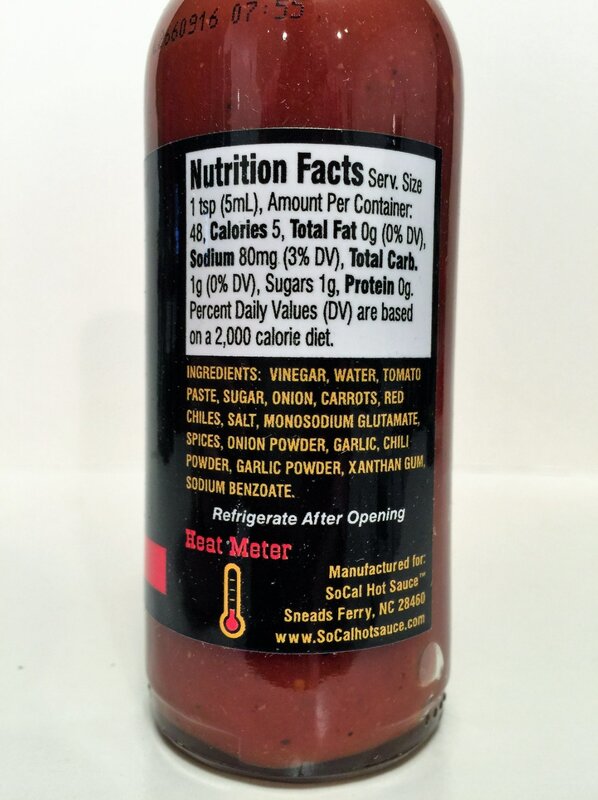 This is a mild sauce with the flavor of tomatoes, garlic, black pepper, chili powder, a little vinegar and cumin. You will also get a slight sweet taste from the sugar and the carrots. 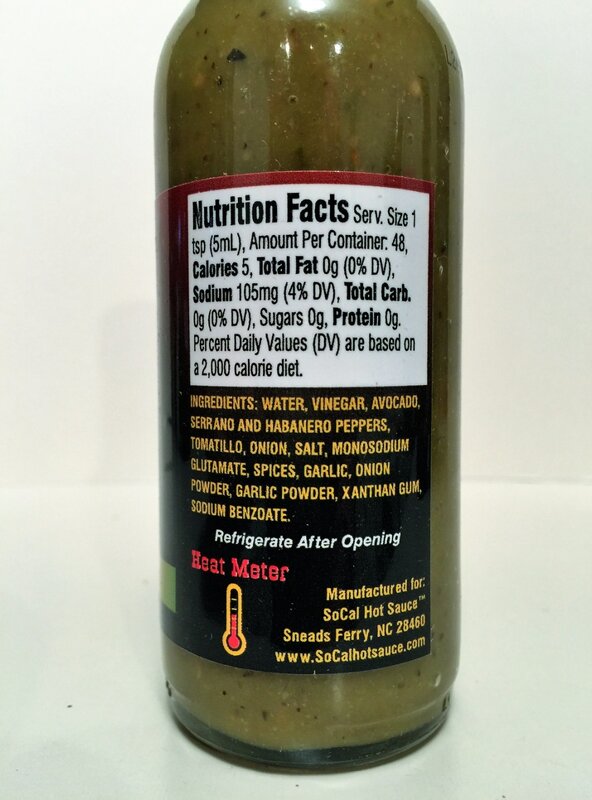 The mix of flavor works so well together using the flavor and the heat from red chilies. 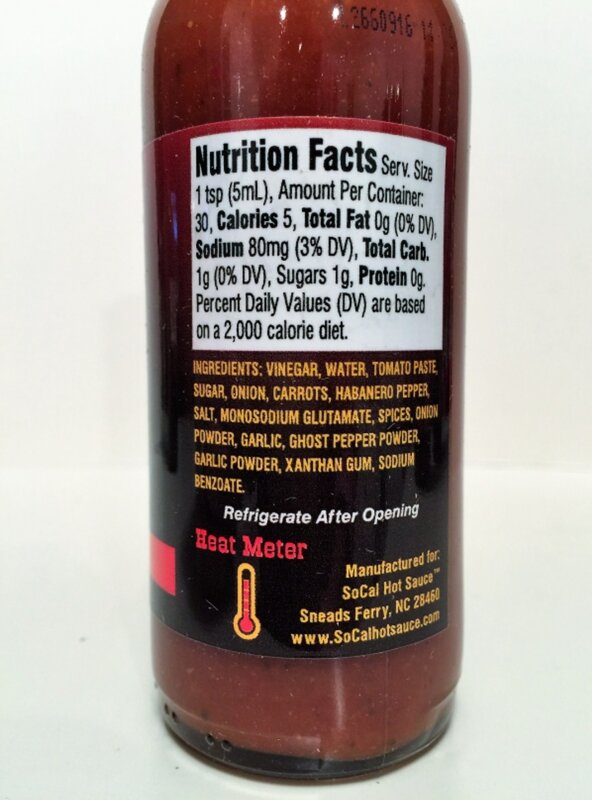 I used this sauce as a ketchup replacement, but it would make a great taco sauce or used on your morning omelet. 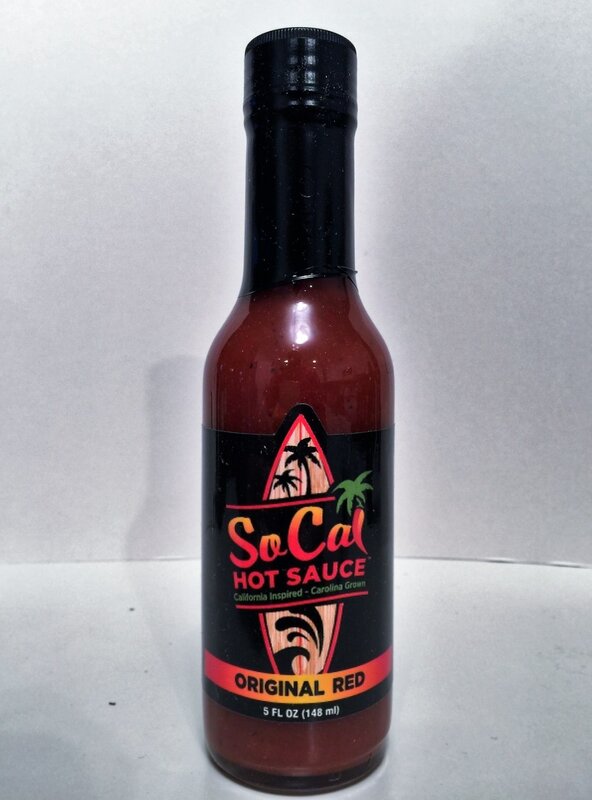 HOT RED from SO CAL.. Once again So Cal takes their ORIGINAL and adds just a little more heat and flavor just like they did with the AVOCADO sauce. So you also have two choices with RED as you did with their AVOCADO sauces. The addition of the habanero adds just the right amount of heat and flavor to make this a sauce that's awesome on any Mexican dish or with breakfast. 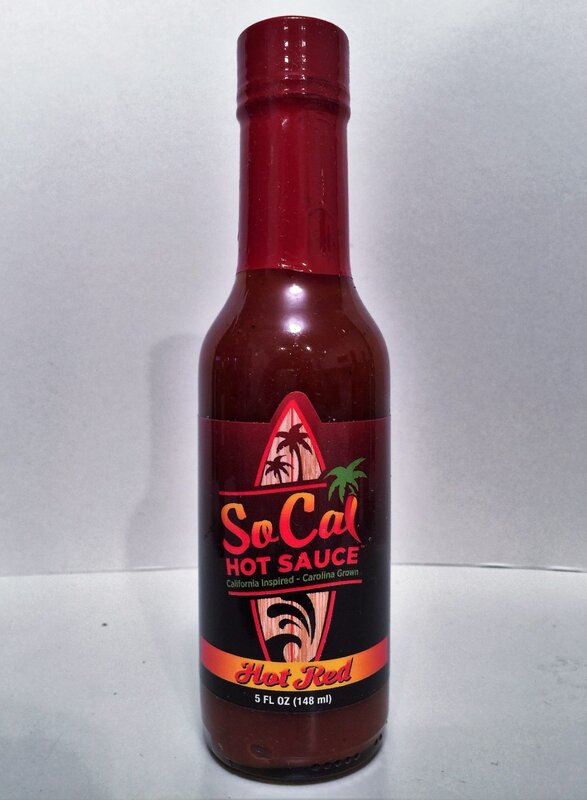 Just like all of So Cals sauces, it's smooth, rich and full flavored! I would suggest getting the So Cal 4-pack, use Coupon Code TTH10 to receive 10% off your order.